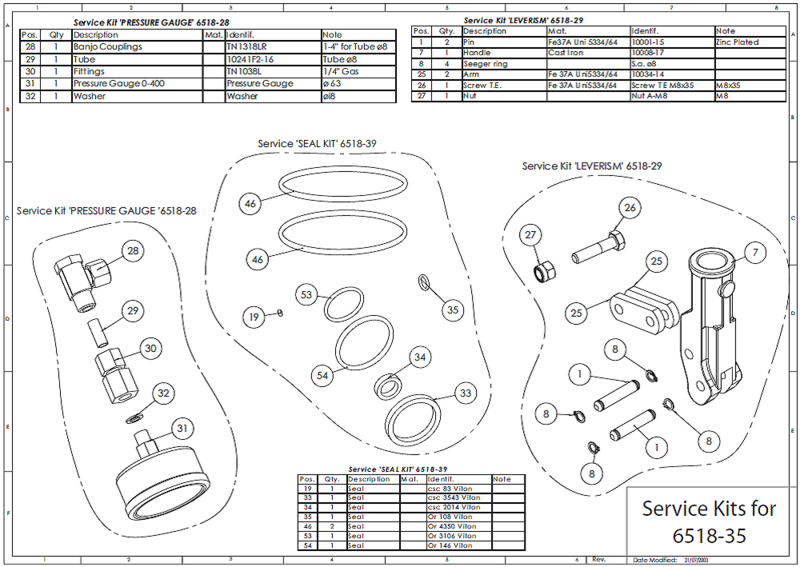 We are distributor for spare parts for Prestolite hydraulic starter systems and have stock of most common spare parts for the two systems B35G8 + B50G53. Exchange of old HP3 unit with complete pump panel including back plate + pump + piping. Accumulator + RV7 valve is to be re-used and installed on new back plate. 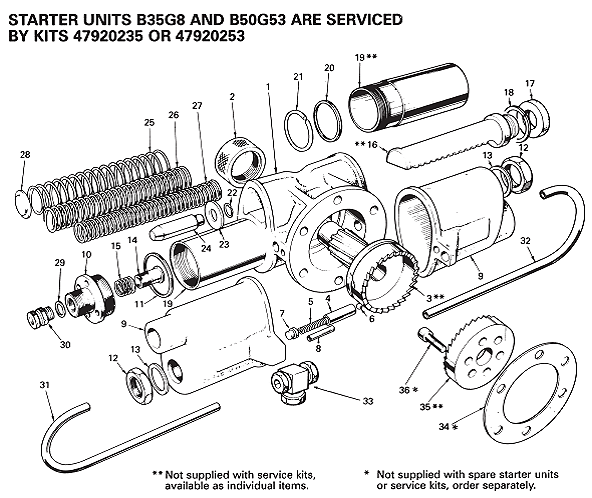 Please note that we have a complete starter unit on stock for both B35G8 + B50G53 in case that old unit is beyond repair or quick exchange is required. The charging and testing unit is used to charge Prestolite accumulator with nitrogen or to check or to change the existing pre-charge pressure in the Prestolite accumulator. 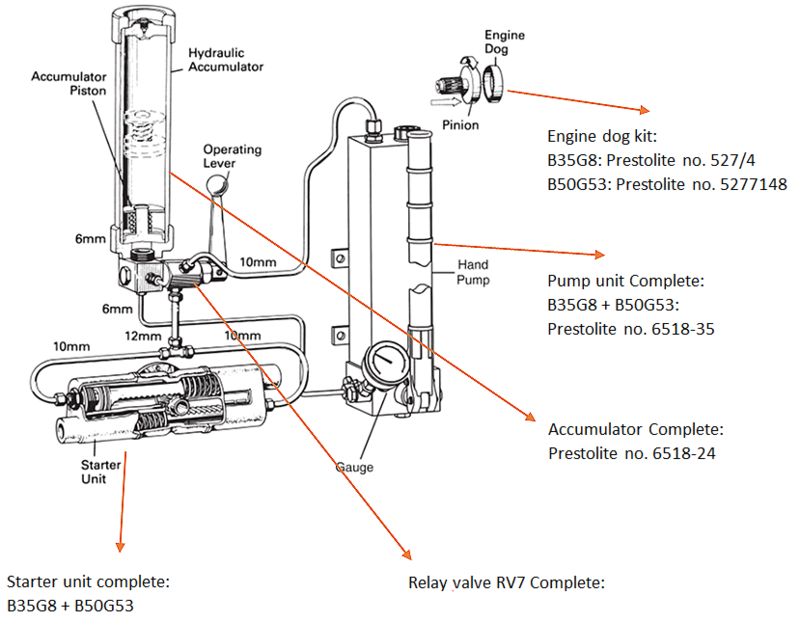 For this purpose, the charging and testing unit is screwed onto the gas valve of the hydraulic Prestolite accumulator and connected via a hose to a commercial nitrogen bottle (please see below). If the nitrogen pressure is only to be checked or reduced, the charging hose does not need to be connected. The unit has a screw-type fitting with a built-in gauge, check valve and a spindle for opening the accumulator gas valve to control the pressure.